Poisonous birds eat toxins to poison predators. European quail at the Warsaw Zoo, October 2008. Here’s a forensic riddle: Ten people eat an autumn dinner of roasted quail in Turkey. Hours later, four diners start to vomit. They grow weak. Their muscles ache. At the emergency department, they’re diagnosed with rhabdomyolysis—a life-threatening syndrome that afflicted people who survived being crushed under rubble during the London bombing raids in World War II. Except this is 2007 in Turkey. And instead of Luftwaffe raids, these four men are the victims of a poisonous bird. Those four sickened Turkish men probably don’t consider the quail to be a jewel of toxinology, and neither did the dying Israelites of the Old Testament. The Book of Numbers describes how, just as the Israelites started eating quail, “the anger of the Lord was kindled against the people, and the Lord struck the people with a very severe plague.” Science historians think this describes an ancient outbreak of coturnism—quail poisoning. 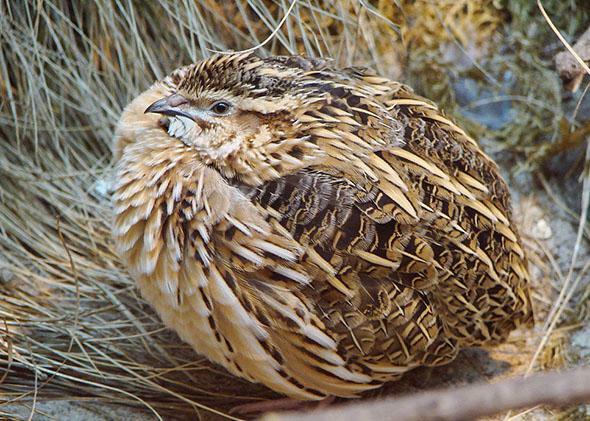 Both quail poisoning and being crushed by falling buildings cause rhabdomyolysis by quickly destroying muscle, clogging the victim’s bloodstream with ruptured cells. This cell debris can make the victim’s kidneys fail and even send them into lethal shock. While the Bible claimed the Israelites died of divine wrath, ancient doctors like Galen noticed that quail poisonings happened in autumn. The birds, he observed, only became poisonous when they ate hemlock seeds while migrating south across the Mediterranean—including Turkey. Galen’s insights about poisonous birds got a modern revival in 1992. American biologists were trying to figure out the chemicals that made the hooded pitohui so foul-smelling and bitter-tasting that the New Guineans nicknamed it the “rubbish bird.” When the biologists examined pitohui specimens, they found the feathers and skins were full of batrachotoxins, a dangerous chemical family of neurotoxins that the biologists recognized from South American poison-dart frogs. But the amount of batrachotoxins varied from bird to bird, which suggested that, instead of making batrachotoxins, the rubbish bird was getting its rubbish elsewhere. In 2004, the biologists traced the batrachotoxins to the Melyrid beetles the birds ate. These beetles, the New Guineans reported, caused burning sensations when they land on people. 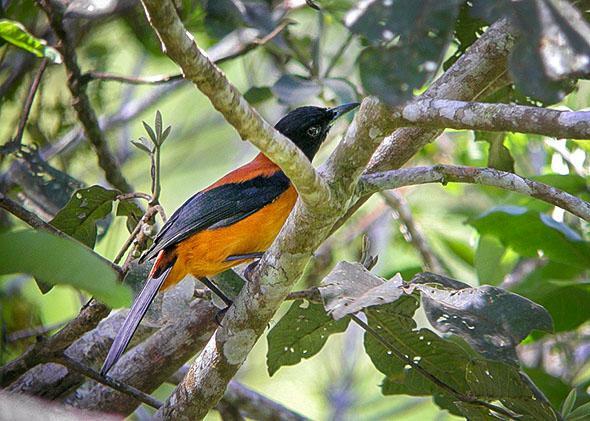 By eating the beetles, the pitohui was saturating its flesh with batrachotoxins—toxins that it had evolved resistance to but its predators hadn’t. Like other animals, the pitohui had discovered that becoming poisonous deters predators and parasites and that diet can be a great source of poison. These sources vary: Spoor-winged grouse eat beetles for their toxic cantharidin, while North American ruffed grouse and Australian bronzewings get their toxins from plants. But the European quail gets its neurotoxic poison, coniine, from hemlock seeds—which the quails have presumably evolved to resist, unlike humans. Which brings us back to the forensic riddle: Only four out of 10 quail-eaters developed rhabdomyolysis. Why didn’t everyone get sick? It turns out that, for certain poisons, people are more likely to get sick if they have specific gene mutations. Approximately 400 million people have a mutation in an enzyme that makes their red blood cells rupture when they eat fava beans (minus the liver and nice Chianti). Different mutations in the liver enzymes that break down ethanol explain “Asian flush” and why some people become immediately nauseated after drinking alcohol. Which is why scientists suspect that people must be genetically susceptible to the coniine in quails to become sick, like those four men in Turkey. But while scientists are still figuring out the genetics of quail poisoning, it might be a smart idea to stick with the chicken, opt for a side salad instead of the fava beans, and wash it all down with water.